Cremona is a city located in the south of the northern Italian region of Lombardy, near the border with another region of Emilia Romagna. 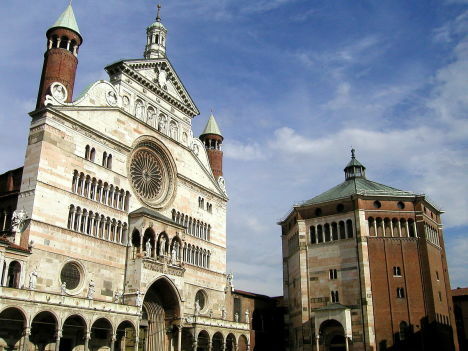 According to legend, Cremona was founded by Hercules, but there are no any written references about that. What we know for sure is that at the end of the 3rd century BC, the city was fortified by the Romans. 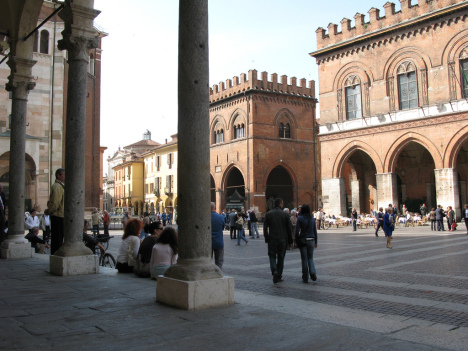 Cremona became quiet town, which is devoted mainly to the agriculture, but also tourism. It’s called City of Three T – Torrone (a traditional Christmas dessert), Torrazzo (the city’s bell tower) and Tognazzi (a popular actor, who lived here). 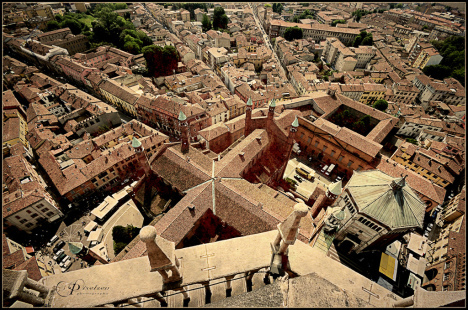 A symbol of Cremona is Torrazzo, the highest medieval bell tower in Europe. It measures 112 meters and 12 centimeters. Its foundations were laid already in the 8th century. The most important part of the bell tower is the clock that shows signs of the zodiac, through which moves the symbol of the Sun and the Moon. 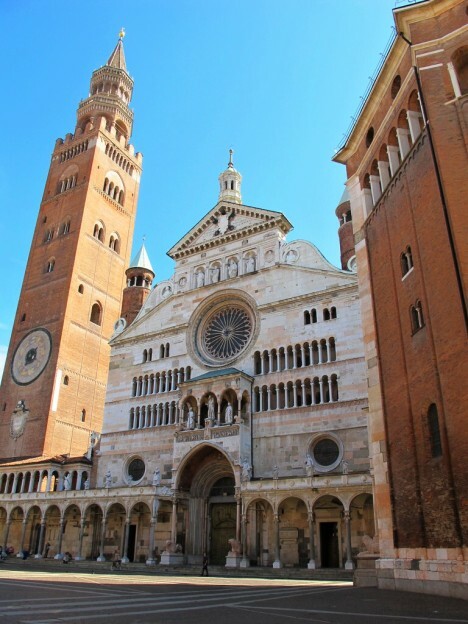 The historic center of Cremona is full of breathtaking sights. For example, Loggia dei Militi is one of the most beautiful Gothic palaces in northern Italy. During the disputes between the Guelfi and Ghibellines, the palace served as a residence of richest inhabitants, who then controlled the entire policy. All these sites are situated on one of the most attractive squares in Italy, the Piazza del Comune. 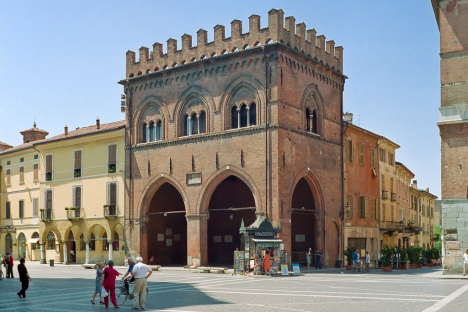 There is also Municipal House – the Palazzo Comunale, which dates back to the 13th century. Here you can also visit several galleries, of which the most interesting is the exhibition of Cremona violins. Well, the most important feature of Cremona is its tradition in manufacturing violins. It was a home to several great artists like Stradivarius or Amati. The biggest event in Cremona is a Festa del Torrone celebration which is sometimes called Sweet Torrone. It is one of the “T” of the city. 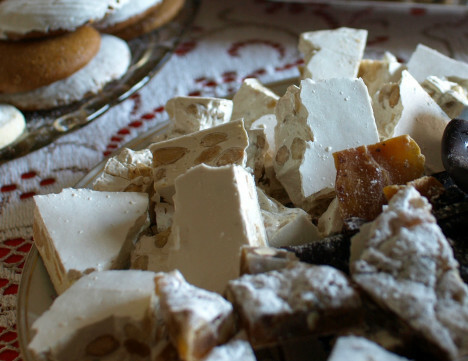 During the celebration, which takes place here in November and lasts almost for the whole month, the sweetness is served in a variety of forms. Its production has come down since 1441, when it was given to Francesco Sforza and Bianca Maria Visconti at their engagement. Older and also very traditional holiday is dedicated to St. Peter. It takes place in June and culminates on the 29th of June with a large fireworks. These celebrations are suitable for both adults and children. On the banks of the Po river, which flows through Cremona, are held various games, competitions, festivals, live music concerts, and much more. If you get hungry, you should try Tortelli alla Cremasca. It is a type of tortellini, which are stuffed with raisins, candied lemon zest, Parmigiana cheese and almonds.